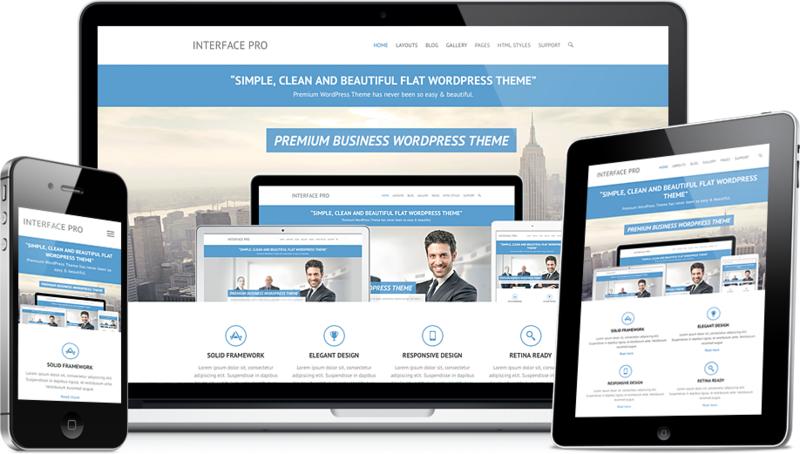 Interface Pro is the Premium version of theme Interface. It is a clean, super flexible and responsive retina ready WordPress theme. Suitable for Business, Blogging, Portfolio, Photography and any type of sites. It comes with tons of options so you can modify layout, styling, colors and fonts directly from within the back-end and create the Website that you want in no time. This theme supports custom post type for gallery support. Create categories to show the multiple gallery. Also contains 2/3/4 column gallery layouts. This theme optimized to adapt any screen size. Automatically fits your tablet and mobile devices. You can enable/disable responsive feature as well. Here comes the Premium version of our free theme Interface with lots of amazing features as per our user’s suggestions and request. Have a look, what’s new on Interface Pro.